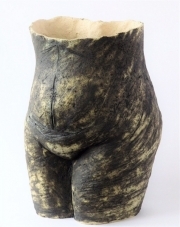 Unusual and imaginative ceramic sculpture, inspired by natural forms, including the female body, displayed in the exhibition Unquiet Life at The Plough Arts Centre with the painter Richard Meyer. 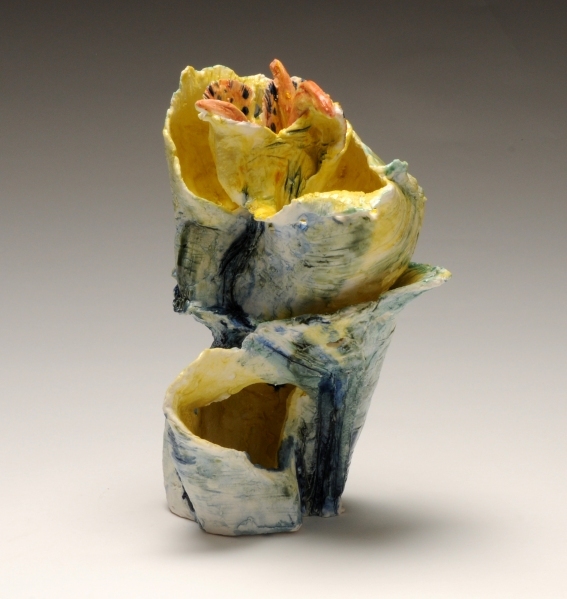 My ceramic sculpture is semi-abstract, spontaneous and very personal, embodying ideas of growth, change and fruitfulness. 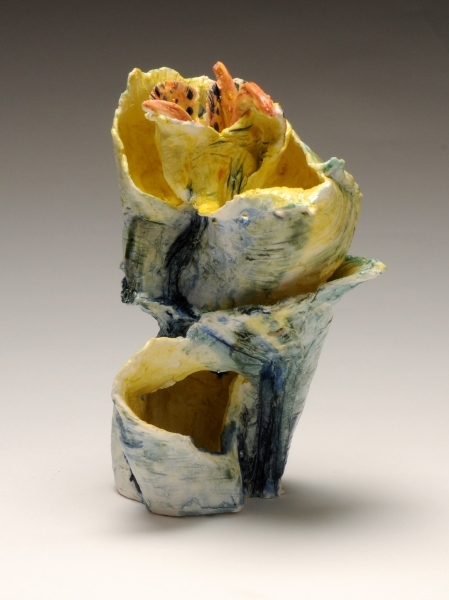 The pieces, including heads and figures, are abstract or semi-abstract. I use porcelain paperclay for some of the smaller pieces and a robust stoneware paperclay for others, with a lot of colour. The work is hand-built using coiling and pinching techniques. I am also exhibiting in the Artist’s Showcase at Jill Rousseau’s gallery in Bideford. Town centre site with bus service and cycle ways. Weekend Open Times: 10.30am – 4.30pm. Not Sundays. 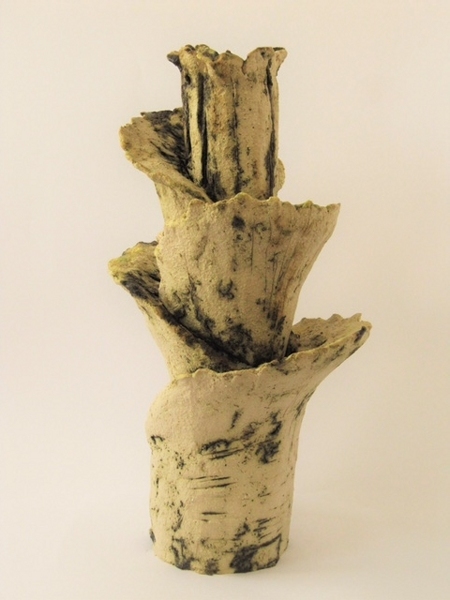 The work can also be viewed during the normal opening hours of the Plough Gallery – open Tuesday to Saturday weekly. Fantastic new work, Eilean. You’ve been busy. Looking forward to seeing it set up!